If I was able to master Silverfast, it would streamline or reduce one step of my current work flow – photoshopping the scan results. I try not to do this often, but it is sometimes needed especially the work flow I have developed since buying film scanners. Silverfast is considered the ultimate in film scanning software – the optimus toolkit if you will. It offers every possible control imaginable in the world of digitising film. That is where the problem comes in, it offers too many options and you find yourself quickly buried in choices, selection, settings, profiles, times of sharp masking, and etc. Where in Epson scan, it has only limited number of controls (levels, colors, sharpness, Digital ICE and etc) followed by a big button labeled “scan” – resulting a in a more streamline process. Maybe I am looking at this in the wrong way, I am after all a software engineer and should thrived when given a wide range of selection, but sometimes too many options can cause the opposite to happen since it overwhelms the amount of work needed. In the end, I find myself just using the Epson scan. Here is one using Silverfast 8, spent 30 minutes or so just tinkering with the settings for this one photo. It’s obvious with many of the controls offered by Silverfast (it offers even profile film presets especially for Kodak Portra 160, but still required some additional tweaking), colour cast is still apparent even when using the film presets and the face is slight overexposed even reducing contrast did little help. It should be noted, no post processing was done for this photo. Scanning using Epson Scan, setting contrast low to capture all the details especially in the shadows – whenever scanning film always try to capture every bit of details. Most of the work actually comes in the post-processing phase. Here you can see some issues with the resultant scan, colours is dull, under exposure and dust issue. Hopefully, through through using Silverfast, I can skip the post processing step which can take a bit of time, but as you can see in the following, sometimes the post-processing phase . Here is a shot of the Epson scan after the post-processing phase. Maybe I have to much high hopes for Silverfast, thinking it is the “be all, end all” solution for film scanning. That if I could master it, I wouldn’t need to do anymore photoshopping and just scanning would automatically produced the finished artwork envisioned when I took the photo. I should instead use it is like any tool to help me grab all the details needed and shouldn’t be expected to provide a finished product. Even photos printed in the darkroom (both digital and analog) had been touched up and pro lab also touch up photos after scanning (or downloaded from DSLR) before printing the final result. 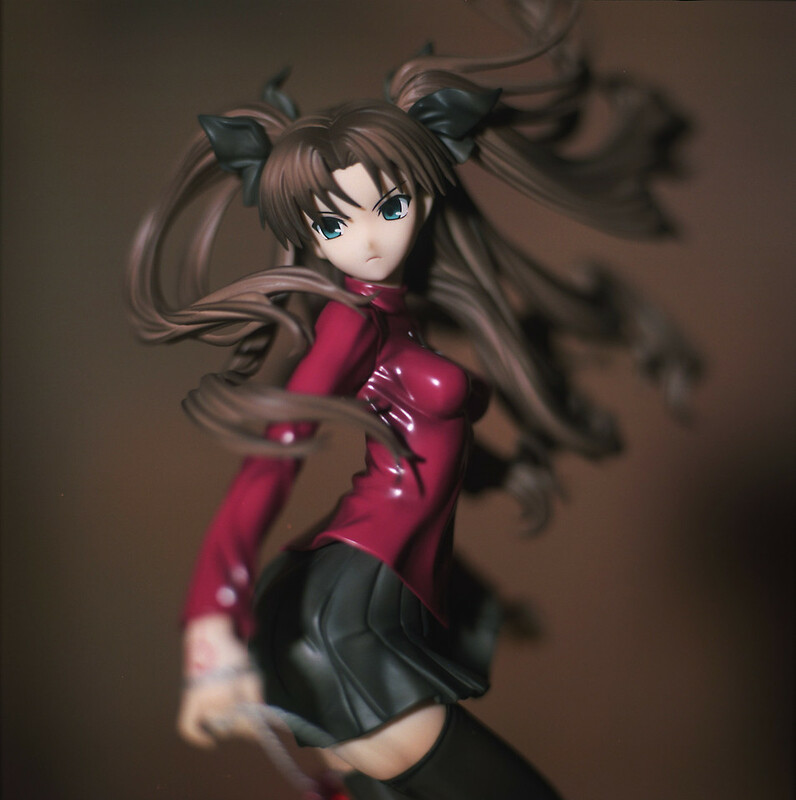 This entry was posted in anime, figurines, film, GearReview, photography, review and tagged anime, film, photography, review. Bookmark the permalink. ← Happy new year! To the year of the goat!